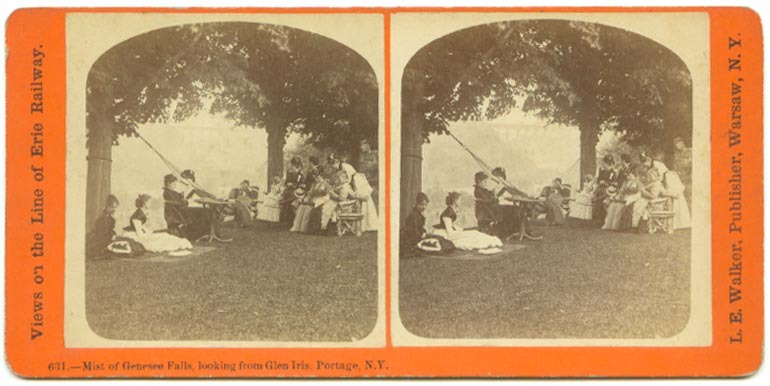 631.-Mist of Genesee Falls, looking from Glen Iris, Portage, N.Y."
A group of young ladies relax on the lawn of the Glen Iris. If you look closely, you will see the Wooden Bridge in the background. 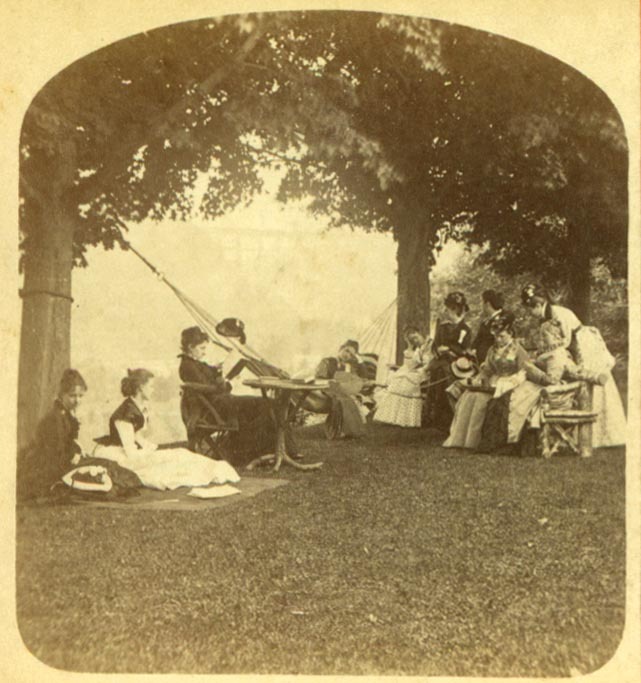 It was not unusual for school and church groups to hold pinics on Mr. Letchworth's lawn. We know that this was the Class of 1874 from the Howland College of Union Springs NY. See Image 144 for background on this group. They are also found in images 70 and 172!. See The Story of the Glen Iris for more information.